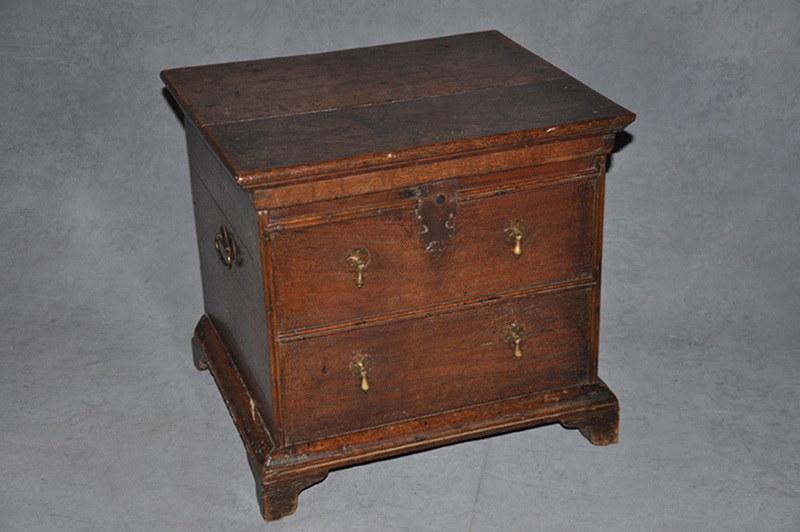 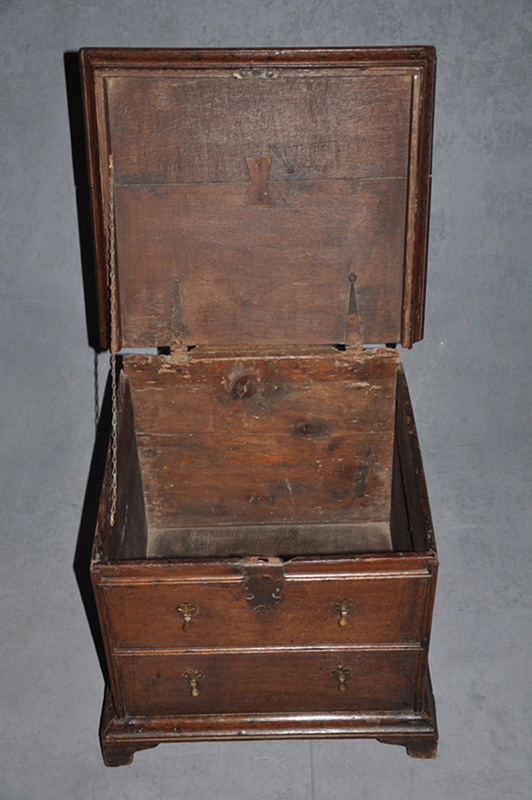 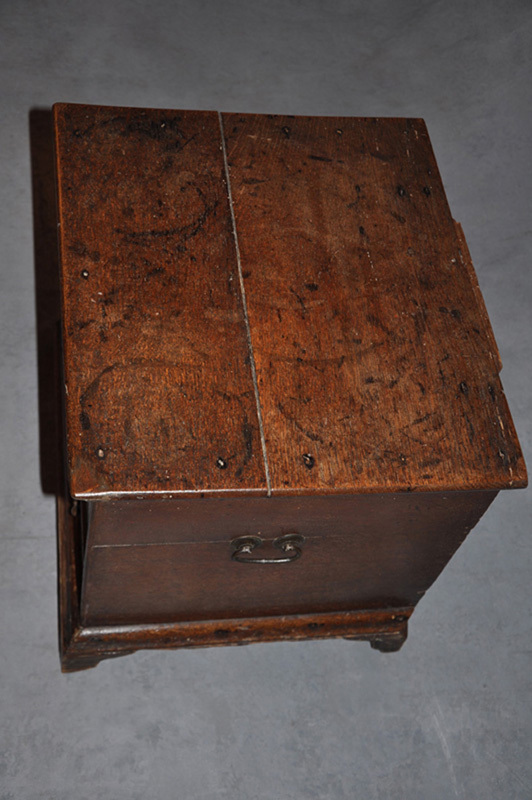 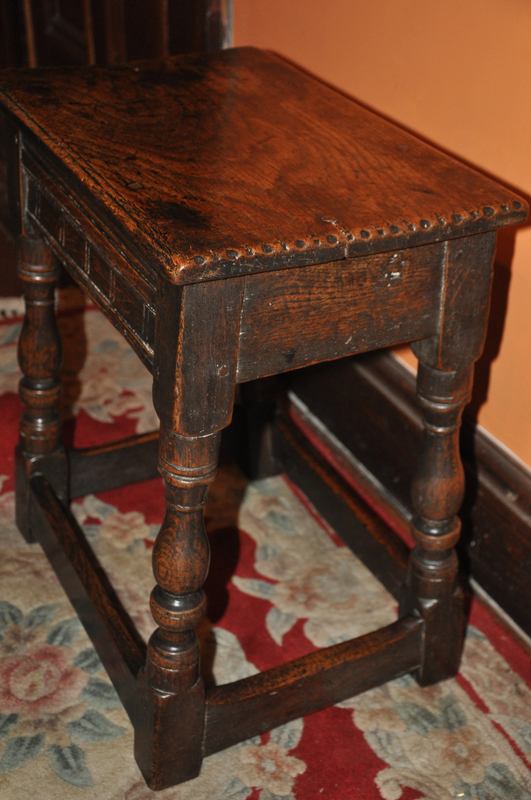 A good example of a Queen Ann Oak close stool of very good colour, retaining the original carrying handles that have never been removed and hinges that have been moved slightly at some point. 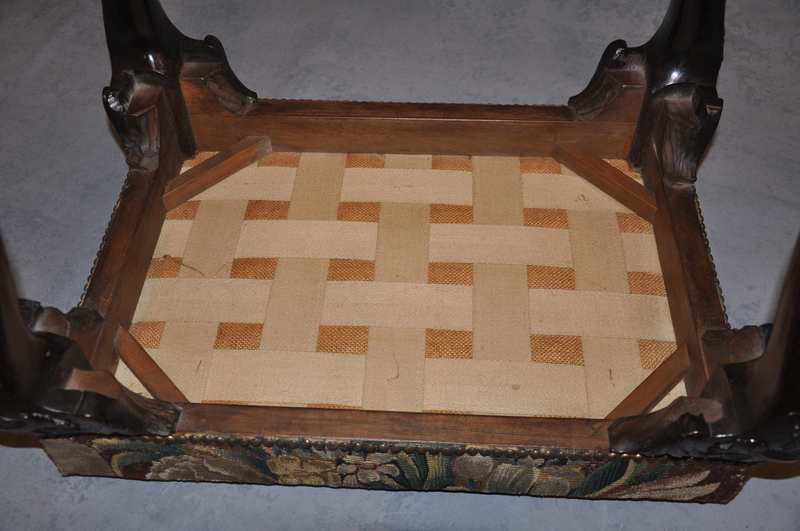 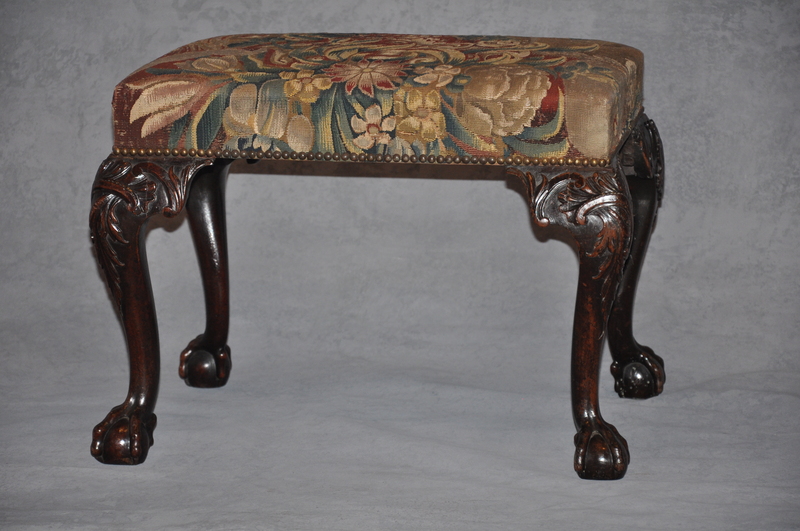 A Fine and rare 18th Century Chippendale Mahogany Footstool. 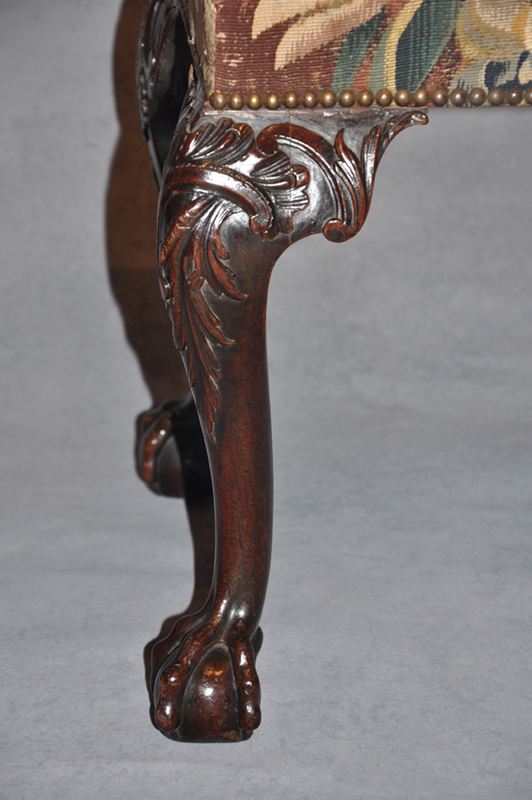 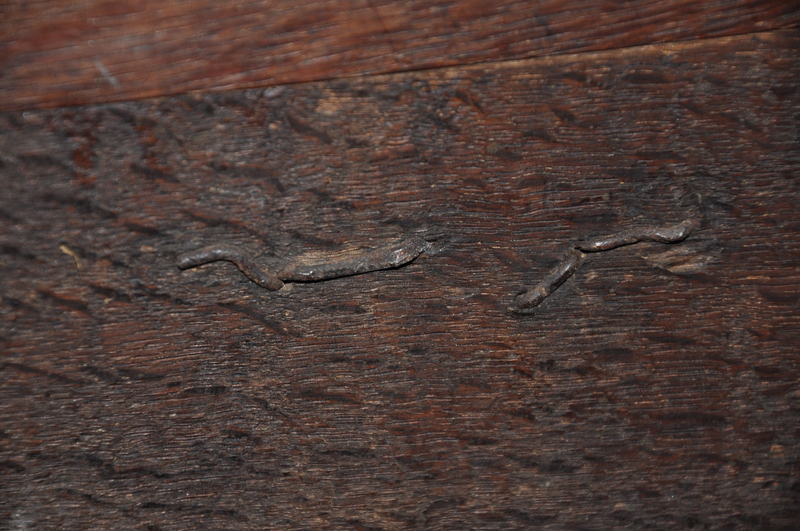 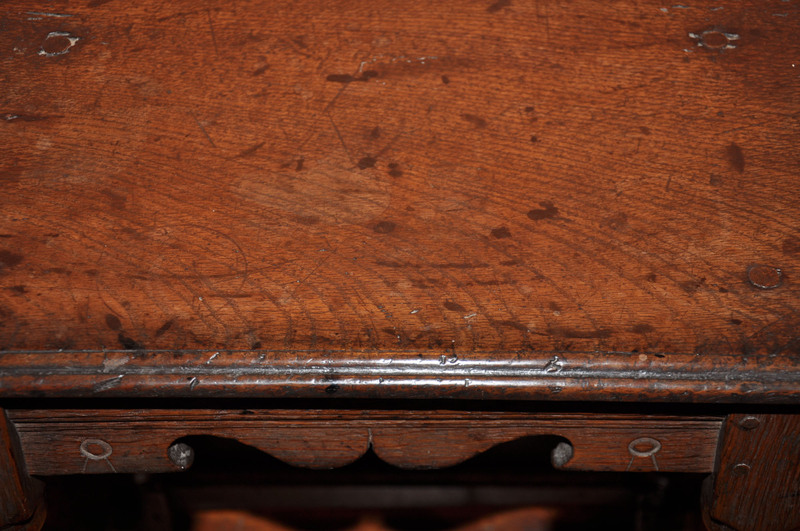 The stool has exceptionally well carved cabriolet legs with C scrolls and foliage terminating in a claw and ball foot . 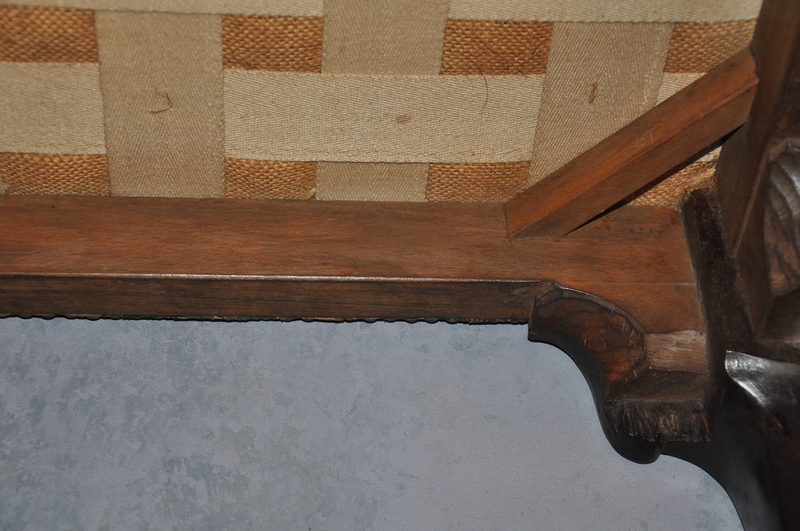 The upholstered rails have been replaced probably in the 19th century. 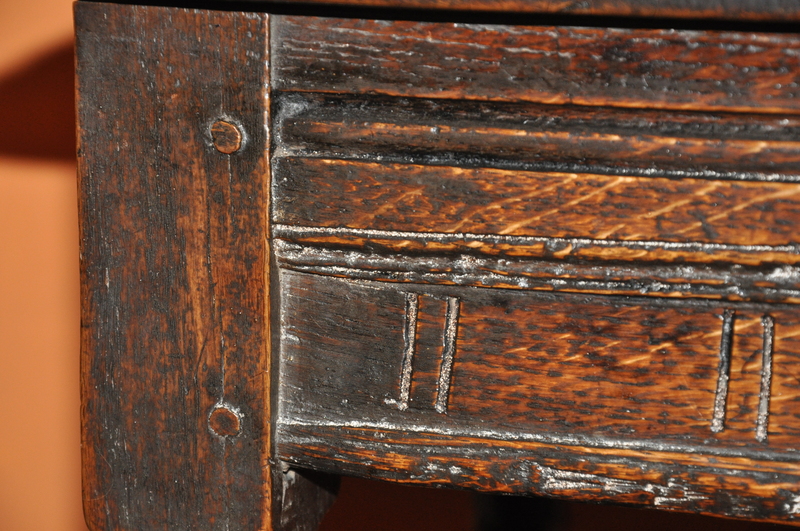 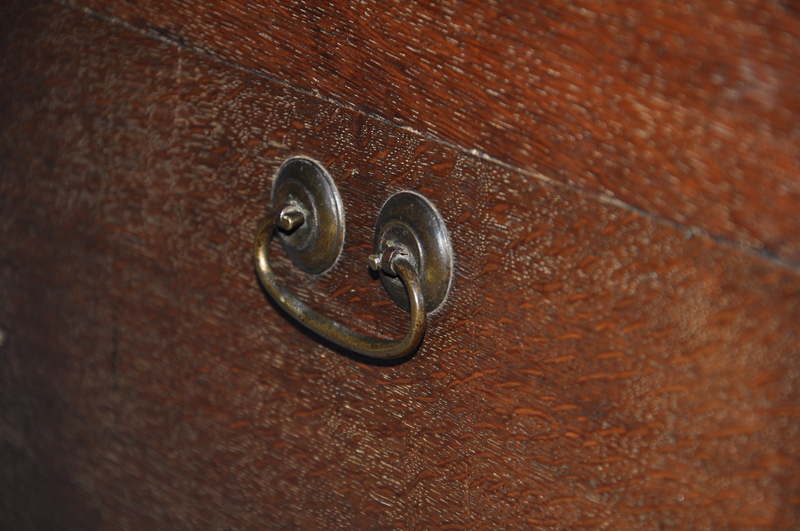 This is a Fine example of English furniture making at its best in the Chippendale period. 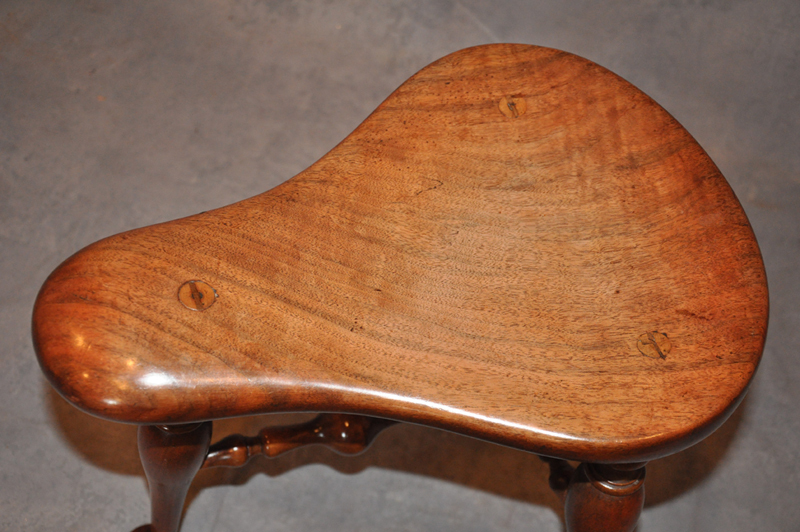 A rare 18th Century Walnut stool with superbly shaped saddle seat and well proportioned turned base. 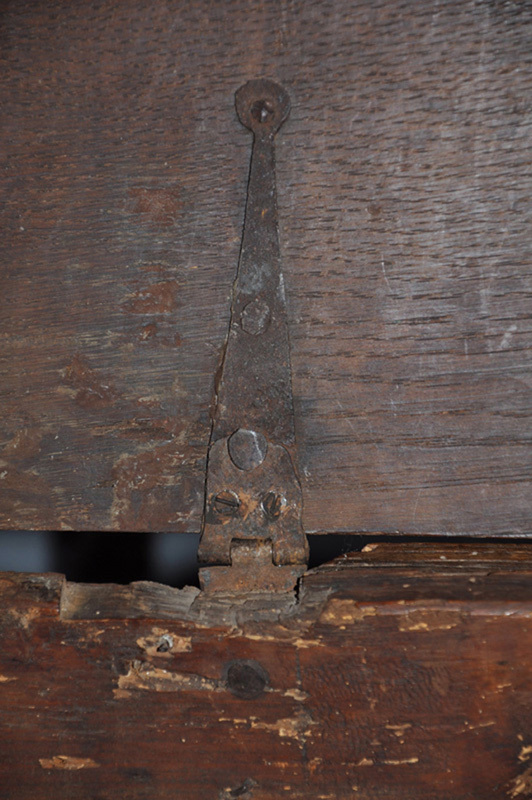 The turned section at the top of each leg has been replaced using the correct design probably by a professional restorer. 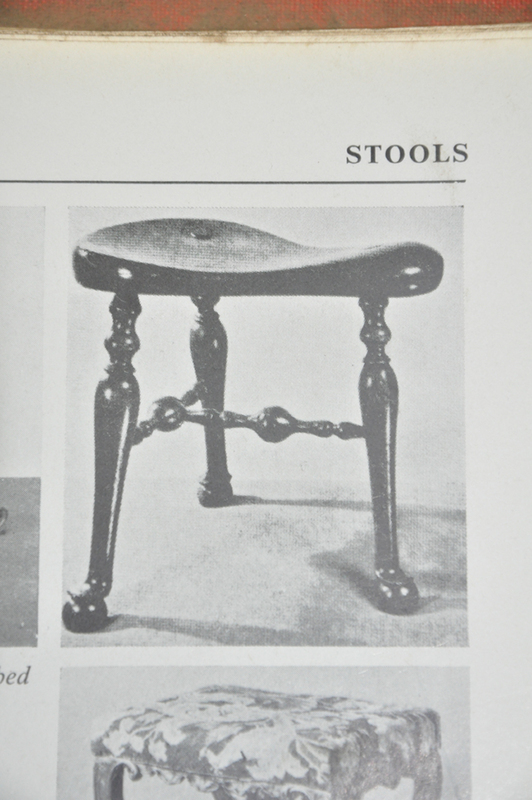 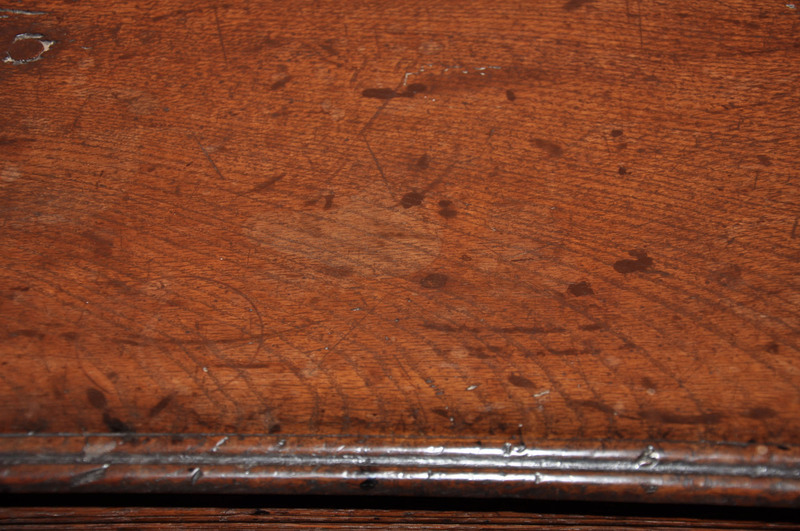 An Identical example can be found in the shortened dictionary of English furniture: page 507 Fig 43 from the red Lion in Colchester. 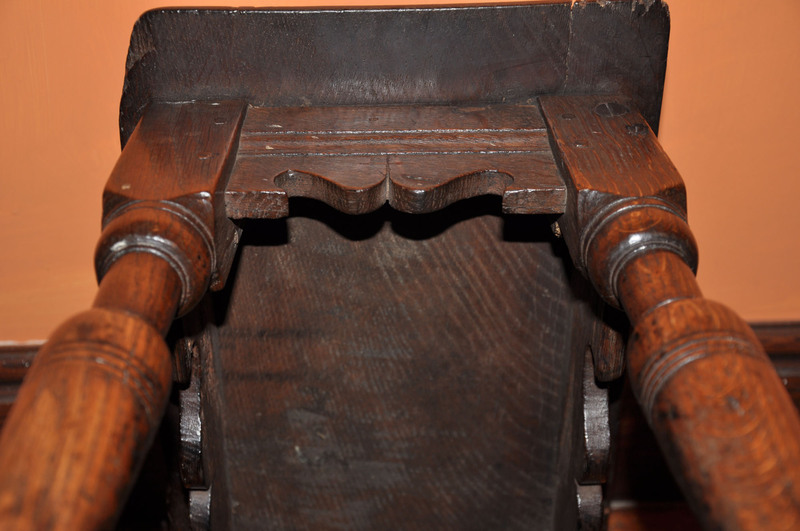 See the Image opposite. 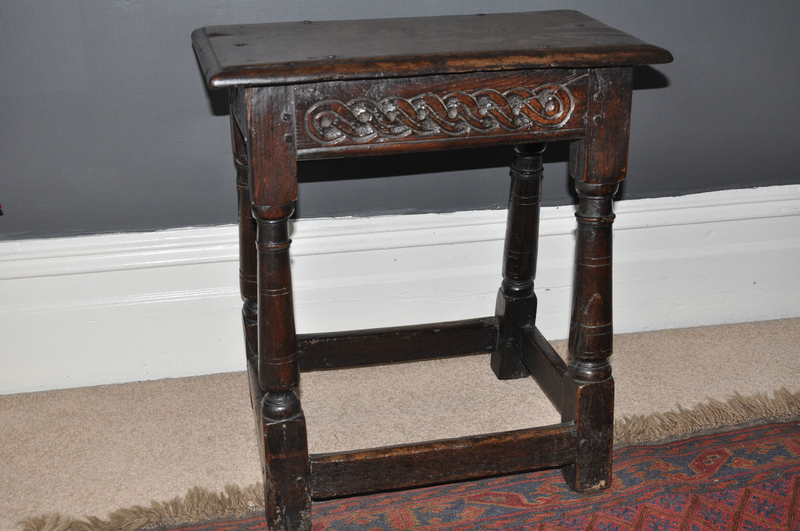 Lovely 17th century Oak Joint Stool of exceptional colour and patina in very good original condition, the top having never been removed retains its original pegs as dose the rest of the stool. 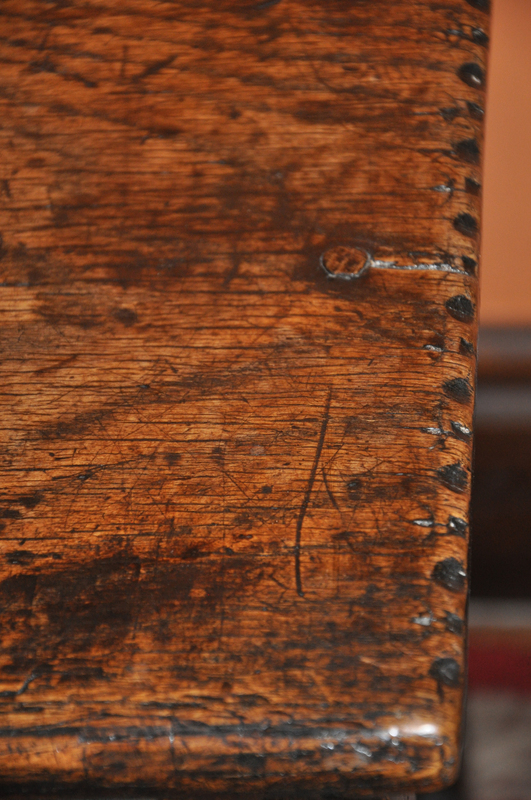 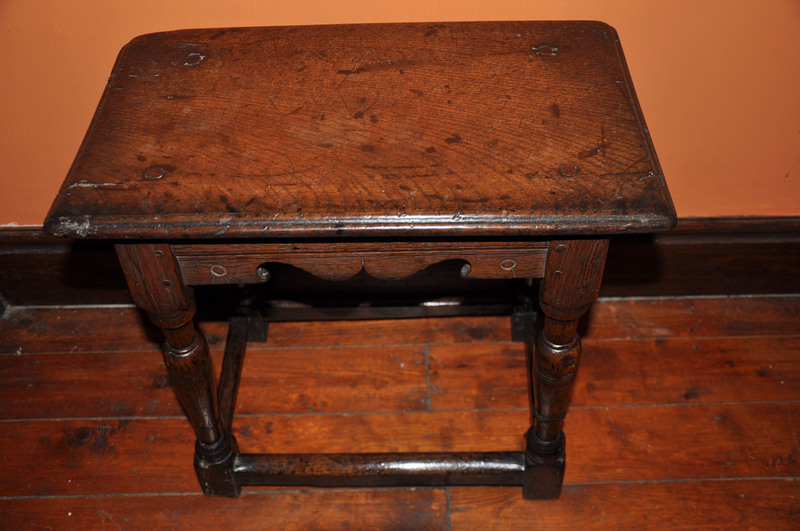 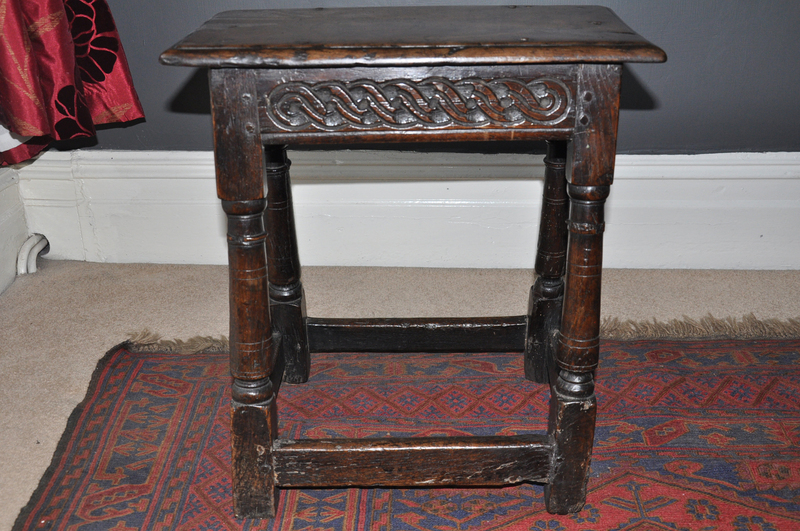 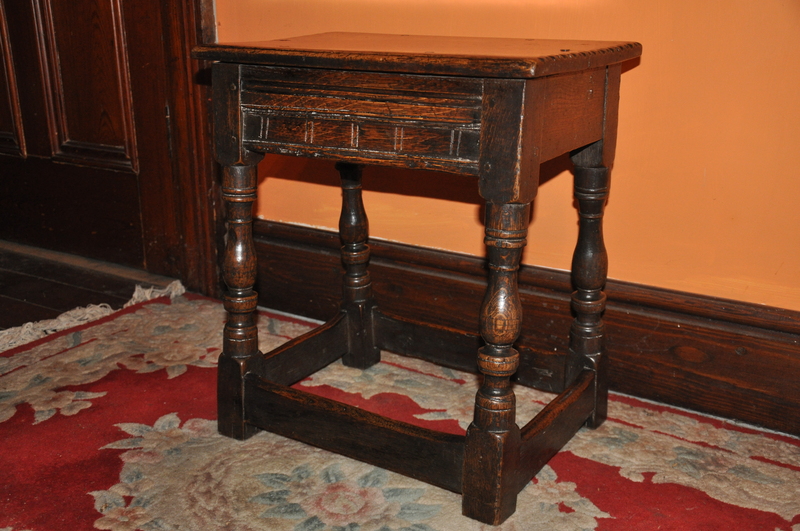 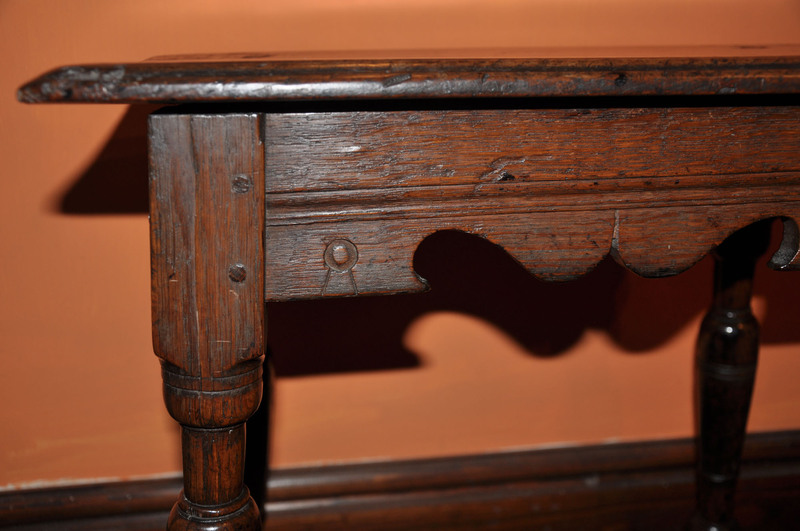 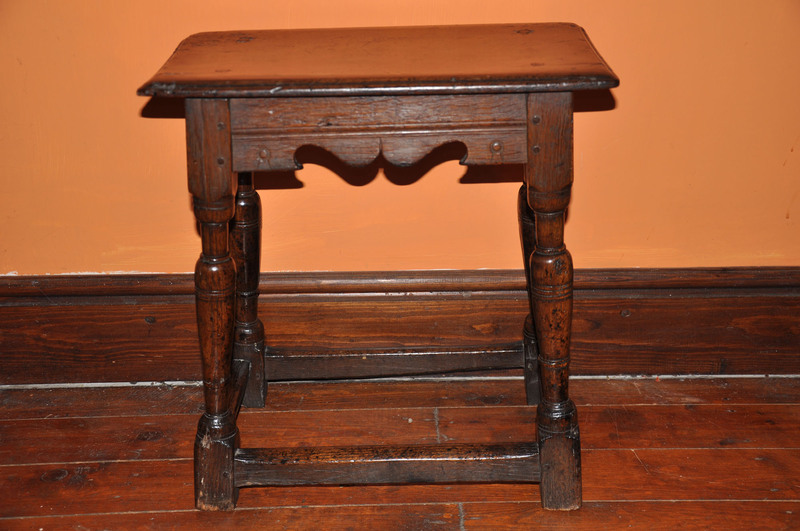 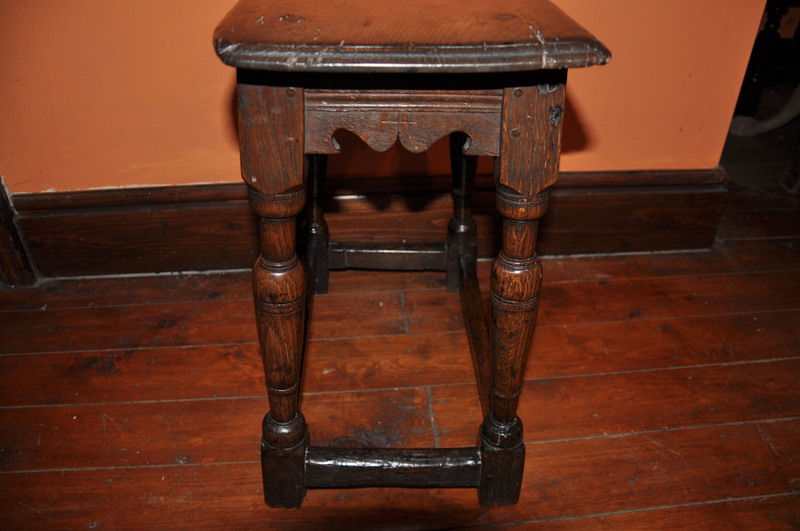 17th century Oak Joint stool with Guilloche carved rails and gun barrel turned legs. 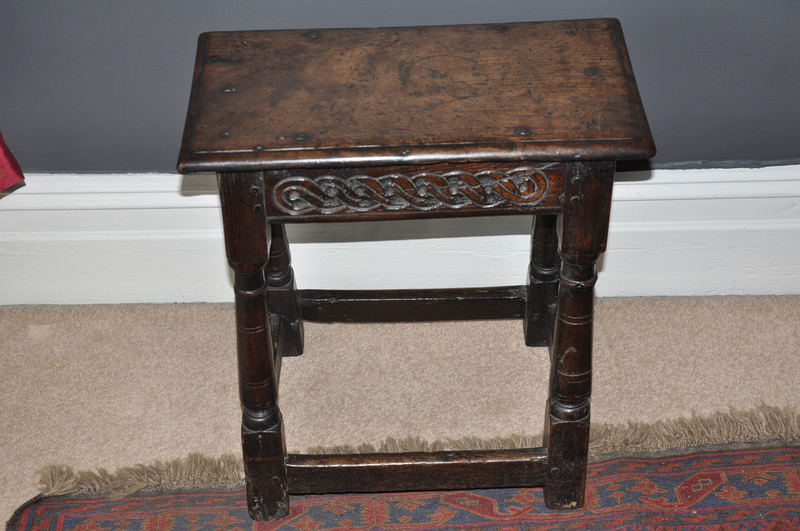 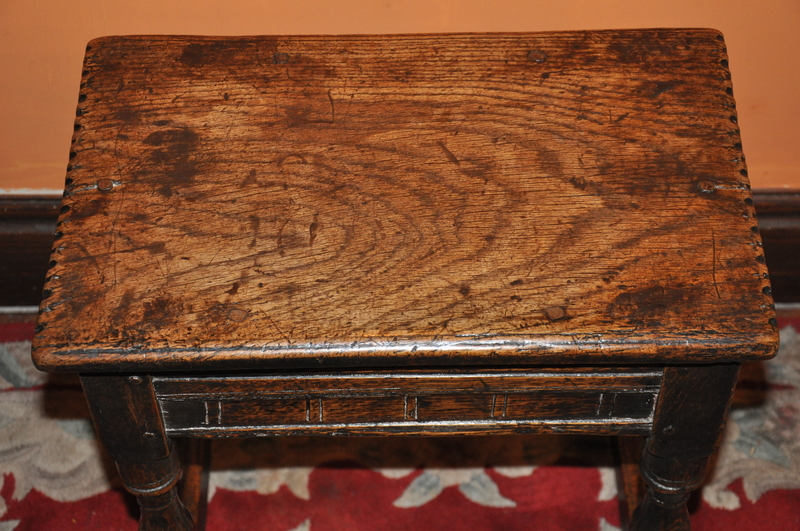 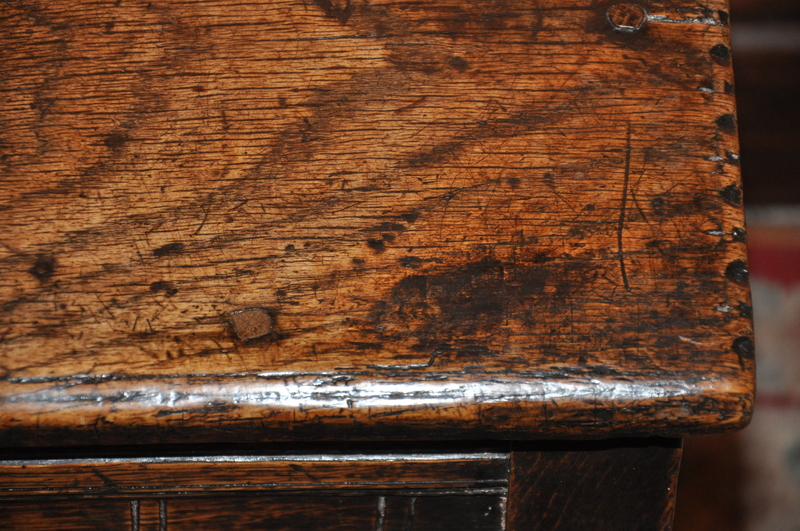 Early 17th century oak joint stool of absolutely superb rich warm colour and patina. 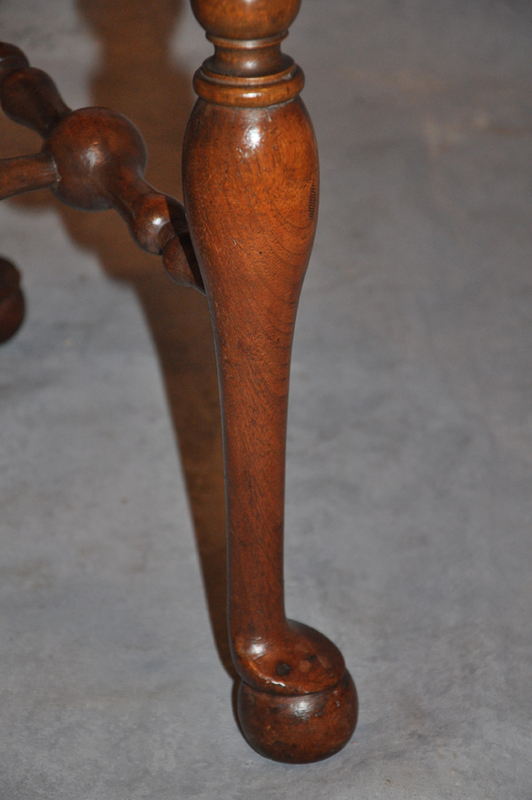 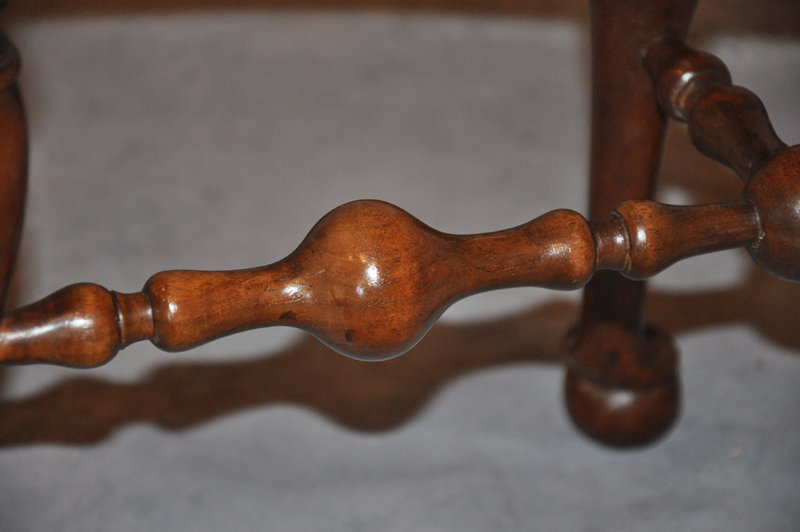 The wonderfully shaped O G freeze and boldly turned legs with the weight to the top are typical of this early period in English furniture making. 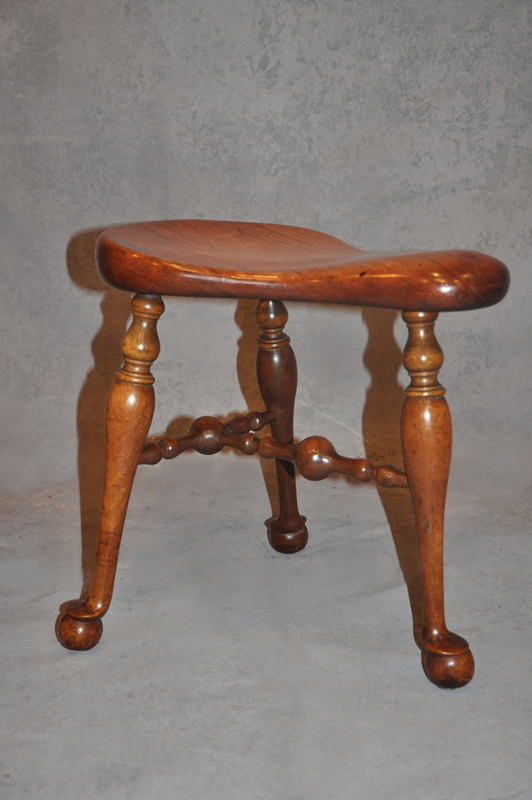 An interesting feature on this stool is that the legs splay both ways. 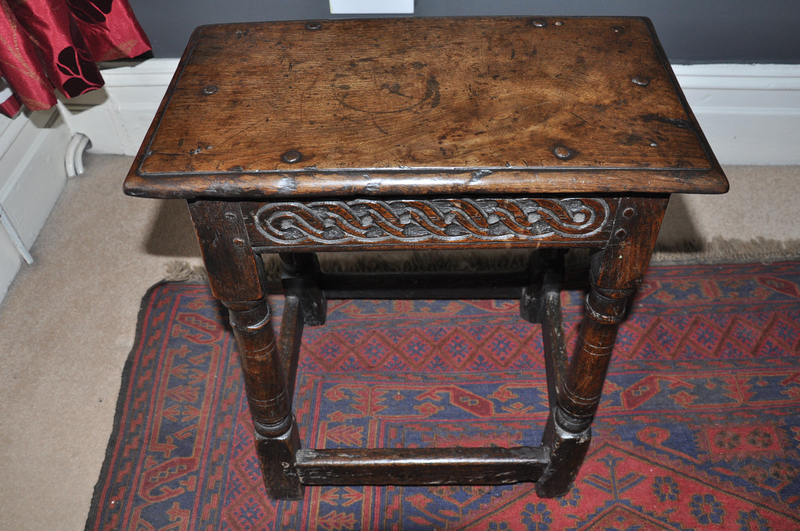 A fine example in excellent original condition.